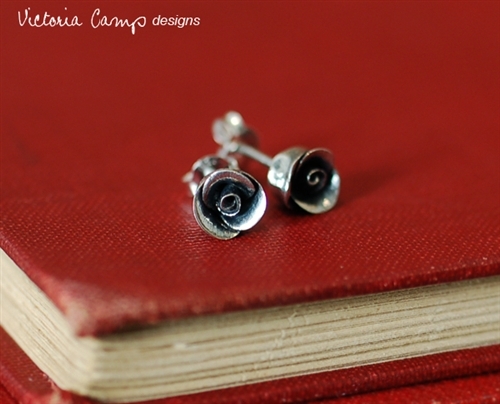 These beautiful rose earrings are hand formed out of fine silver, with sterling silver earring posts. 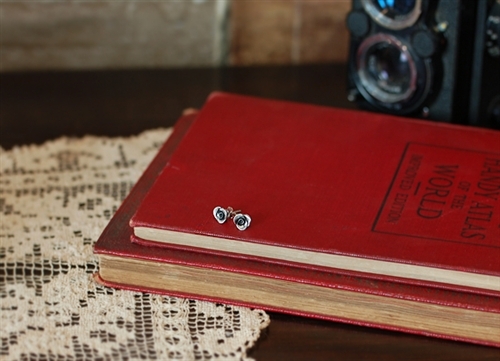 A versatile style, these earrings are suitable for everyday wear and can also be worn for dressier occasions! Made-to-Order upon purchase. 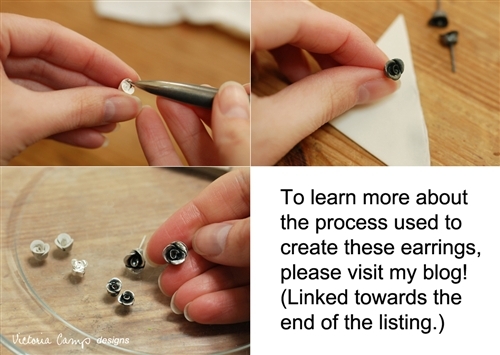 Please allow 1-2 weeks for production before shipping. 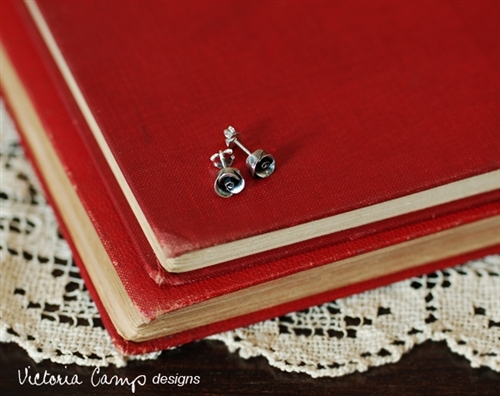 Each of the small fine silver roses measure approximately 5/16-inch/.75cm wide (a little over 1/4-inch) and are affixed to sterling silver earring posts with butterfly backings. I form each rose by hand - petal by petal - without the use of molds. Just like a real rose, each flower will vary slightly from the next. I make the roses with fine silver precious metal clay (.999% silver content, versus .925% as found in sterling silver.) The process is all done by hand: the roses are formed, dried, and then fired in a kiln. I then follow a finishing process of burnishing, oxidizing, buffing and polishing each individual rose.